Tired of getting powder all over you for a better grip? Not any longer, with the new Goose Lube! Simply apply this lube on your thumb for a smooth release every time. It's convenient size makes this a handy tool to easily take on the go. Also subs for a great lip balm too! A great lip balm, too! 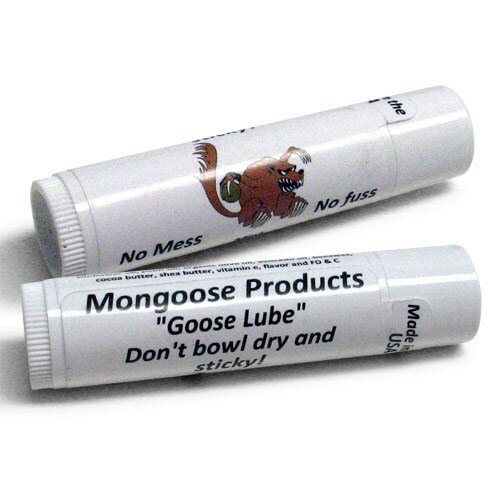 Due to the time it takes to produce the Mongoose Goose Lube (1 tube) ball it will ship in immediately. We cannot ship this ball outside the United States.